Spain authorized the establishment of Roman Catholic missions in Alta California with the intent that these missions would become the nucleus for new cities inhabited by loyal Spanish citizens. In many cases cities did grow up around the missions, but there are few places where a modern visitor can get a sense of what those towns looked like in their early years. The historic city of San Juan Bautista is one of those rare places where a visitor really feels they have been transported back in time. The town of San Juan Bautista has a mission that looks much as it did 200 years ago. It also has a historical district that preserves significant 19th century buildings that share the city’s plaza with the mission. But most significantly, little of what remains of the historic downtown has changed very much over the years either. The entire downtown feels like a movie set for an old-fashioned Western. The designated historic district and the smaller San Juan Bautista State Historic Park both include the city plaza (the mission also had a plaza of its own inside its walls) and a selection of buildings along its periphery. The plaza is a key feature here, as it’s the only Spanish-era plaza left in California. Rather than the pretty, landscaped park we might expect today, the plaza remains an unimproved open space suitable for temporarily confining livestock, setting up a market, conducting military training, or putting on a festival. As expected in a city with Spanish origins, the church is located along the plaza, although the founding of the Mission of San Juan Bautista in 1797 predates the formation of the adjacent city by about a decade. The mission itself is among the most authentic in California, having never been abandoned or dramatically altered. With the exception of a companario built in 1976 to house the church bells, today the church and former padre’s quarters look very much as they did when completed in 1812. Although a city began to develop around Mission San Juan Bautista by 1814, it didn’t take on its modern appearance until after the Mexican government secularized the mission in 1835. At that time a former soldier named José Tiburcio Castro was given responsibility for distributing the mission’s land (most of which went to his friends and family). Those new landowners got to work building the city we see today. The first significant building to be constructed was (not surprisingly) the Castro House, which was built in 1841 to house Castro’s son and to serve as the center of government for the region. The home didn’t stay in the Castro family for long. In 1848 the Breen family – survivors of the Donner party’s tragic trek through the mountains – used money from a son’s successful attempt at gold prospecting to purchase the Castro house where they lived until 1933. Today the house is open to the public and furnished to reflect the Breens’ life here around 1870. In those days before the railroad arrived in California, San Juan Bautista was a booming place. The nearby Plaza Hotel was built in 1858 to serve the increasing number of businessmen, travelers, and fortune-seekers arriving in town. With seven stage coach lines serving the city, the hotel wasn’t the only business that came into being to serve the needs of travelers. The Plaza Stable sits just around the corner from the Castro/Breen house. Built about 1861 to handle the needs of the stage coach lines and other wagons that served the booming town, today the stable serves as a museum. The Zanetta House/Plaza Hall is located next to the stable and directly across from the church. It also came into being as we see it today during the heady days of 1868, but its history goes back farther. When Mexican businessman Angelo Zanetta bought the property it already had a building on it. That building probably served initially as housing for the mission’s unmarried Indian women. Zanetta reused the adobe bricks from that existing building in the construction of his new building. Although the main floor of the new building became the Zanetta home soon after completion, it was built to serve as the courthouse. Unfortunately for Zanetta, another city became the county seat, so there was no need for a courthouse in San Juan Bautista. The railroad came to this part of California in 1876, but it didn’t come to San Juan Bautista. As business followed the railroad, San Juan Bautista’s boom slowed and then ground to a halt in the final decades of the 19th century. The result is a 19th century town that generally looks much as it did a hundred or more years ago. The historic Central California town of San Juan Bautista is located just off Highway 101. It’s about an hour south of San Jose (or 1½ hours south of San Francisco) and a half-hour north of Salinas. The town includes about 30 historic buildings, several of which are persevered as the San Juan Bautista State Historic Park. 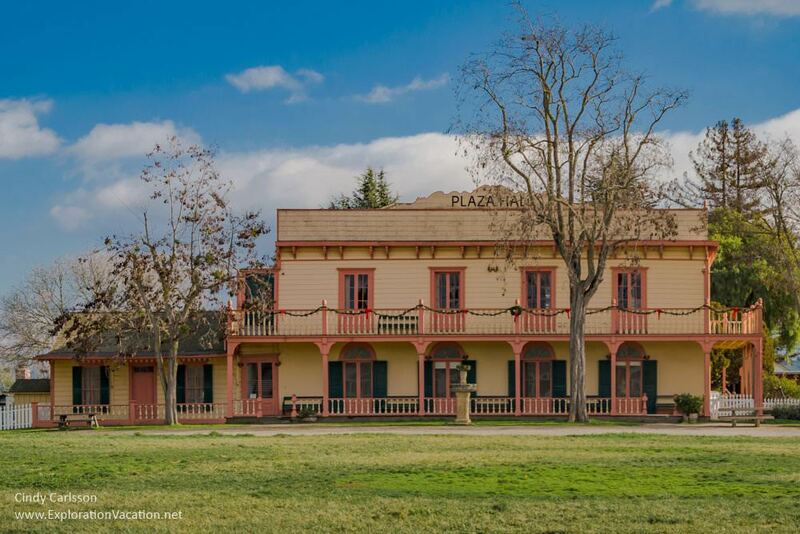 The old town of San Juan Bautista includes about 30 historic buildings, several of which (the mission, Plaza Hotel, Zanetta House/Plaza Hall, Plaza Stables, Castro-Breen Adobe, a blacksmith shop, and the historic jail) are open to the public. It wasn’t always immediately clear to me which buildings are or are not part of the park. Fortunately, there is no charge to visit the park unless you want to see the interior of a historic structure protected by the park. The park is generally open daily. Check the (not up to date) website for more information. There is a good descriptive brochure available on the park website. The city of San Juan Bautista also had an informative website, but that seems to have changed recently. Mission San Juan Bautista is adjacent to, but not part of, the State Historic Park. The church, museum, and gift shop are open regular hours most days. There are a number of restaurants in downtown San Juan Bautista, making it easy to find a bite to eat for lunch. This would be an interesting place to spend the night (the historic district feels a little haunted), but lodging options within the town are pretty limited. 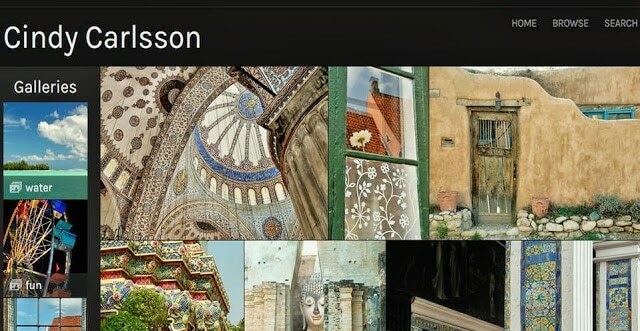 However, there are a couple options, so it is worth checking both TripAdvisor and Airbnb (affiliate links) to see what is available in the area.